Are you looking for cultural heritage sites tour in Nepal? Cg temple tour package covers these all. 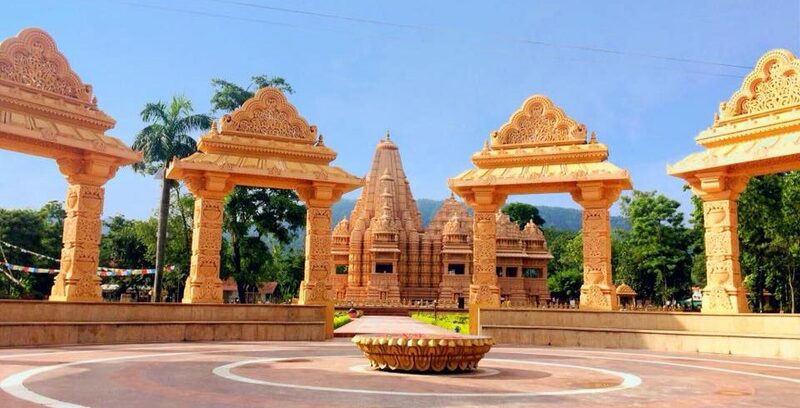 During cultural tour package, you will visit the UNESCO World Heritage Sites in Kathmandu and the most popular tourism destination of Nawalpur “CG Shashwat Dham” also known as Cg temple. The main highlight of Cg temple tour is the CG temple park situated at Dumkauli in Devchuli Municipality of Nawalparasi/Nawalpur district of Nepal. This spiritual tourism destination is about 183 kilometers from the capital of Nepal. Arrival in Kathmandu, transfer to hotel. Drive to Nawalpur, Cg temple sightseeing. Drive to Kathmandu, free time for self exploration. •	All the airport transfers by private vehicle. •	Kathmandu – Nawalpur - Kathmandu drive by private vehicle. •	All the accommodations in Kathmandu and Nawalpur. •	All the monuments and entrance entry fees. •	Nepal entry visa fee. •	Lunch and Dinner during the tour in all the destinations. •	Tips for tour guide and driver. •	Any other expenses that are not mentioned above in included part.